The company is chiefly engaged in the supplying the finest ESP Insulators in all across the country. Our ESP Insulators are provided in a comprehensive range, which is known for its longer working life. This range consists of Cylindrical Support Insulator, Conical Support Insulator, and Shaft Insulator. The hollow supporting ESP Insulators for electrostatic precipitator is majorly used for high-voltage insulation and sealing of the hanging rods for the overhanging frame of the corona electrode, which is passing through the housing of the electrical field. 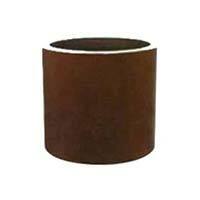 Outer & inner surfaces of the bushing are covered with brown or white glaze, and two end surfaces being ground. The hollow supporting insulators conform to the stipulations of GB/T772-2005: Technical specifications of high-voltage porcelain insulators. They can work at temperature up to 250deg.C with working voltage classes from 72kv to 110kv, and compression failing load not less than 500kn. The company is the well known Supplier of the highest grade Cylindrical Support Insulator in India. Our Cylindrical Support Insulator is offered at the most competitive prices. 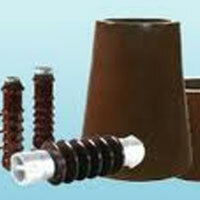 We are one of the major Suppliers of the top quality Conical Support Insulator, located in Orissa. 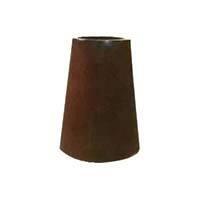 The Conical Support Insulator can be availed at reasonable prices from us. Our Shaft Insulator is made up of the high quality porcelain and is majorly used ESP applications. The Shaft Insulator is precisely engineered by the experts, as per the set industrial standards. Our ESP Insulator is made up of the high quality porcelain and is majorly used ESP applications. 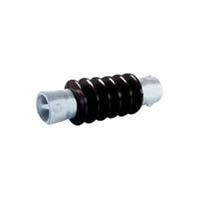 The Shaft Insulator is precisely engineered by the experts, as per the set industrial standards.